John Lennon’s favorite coffee, a coffee maker similar to that of Ludwig van Beethoven, where the most expensive coffee in the world comes from, why the Turkish clergy called the drink “devil’s black blood”, and how to distinguish Arabica from Robusta – after visiting the Museum, you can easily write a term paper about coffee. It is a pity that one cannot defend it right here in the Museum coffee house with a beautiful view of the Neva. Address: Voskresenskaya embankment (the former Robespierre embankment), 14. In Russian — Воскресенская набережная, 14. Just a 15 minute walk from the Chernyshevskaya (Чернышевская) subway station. A secure parking is available for visitors’ cars in the courtyard of the Museum. Tours (included in ticket price) are held every 30 minutes, the last starts at 19.30. Cost of tickets for foreigners: adult – 500 rubles, discounted ticket — 200 rubles. You can take pictures without restrictions. Time for a quick tour of the exhibition with a guide – 1 hour. The Museum has a coffee house and you can enjoy a cup of coffee there without visiting the exhibition. In addition, the Museum has a coffee store. Who would be interested in: mainly coffee lovers. Excursions in English are available. We won’t describe the tour in details in order not to reduce your interest to the Museum, besides a guide who knows the finest points of the subject can tell much more. We’ll only emphasize some prominent features, mentioning others in the form of hints – like the coffee itself, attracting with its flavor, increasing the desire, thus making the process of drinking it more memorable. 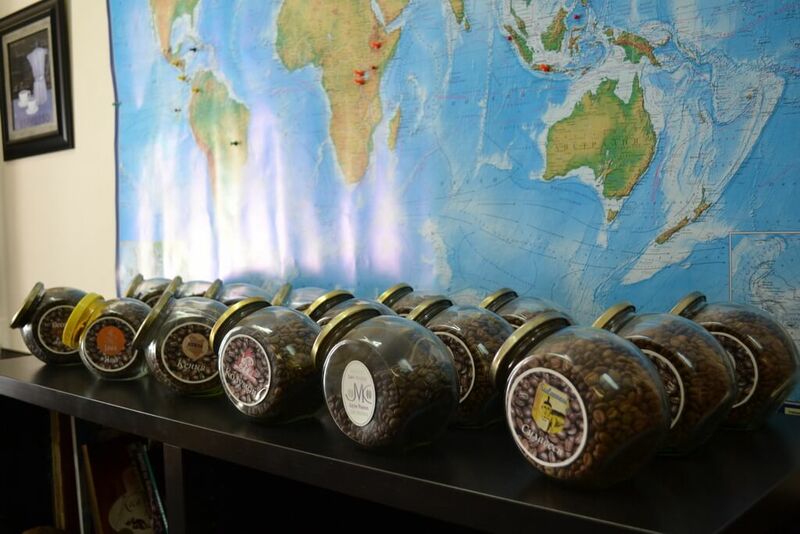 The tour, which begins at a coffee tree and a layout of the coffee bean, leads visitors from the moment of opening the magical properties of the drink to smelling mono-varieties. It all happened many years ago in Ethiopia, when a shepherd wondered why his sheep sometimes did not want to sleep, but on the contrary, gambled and danced. He took notice that the animals ate beans from a coffee tree before their wild dances. The shepherd tried the beans and, logically, the effect was the same. Thus, coffee became an invigorating stuff, but not a drink. 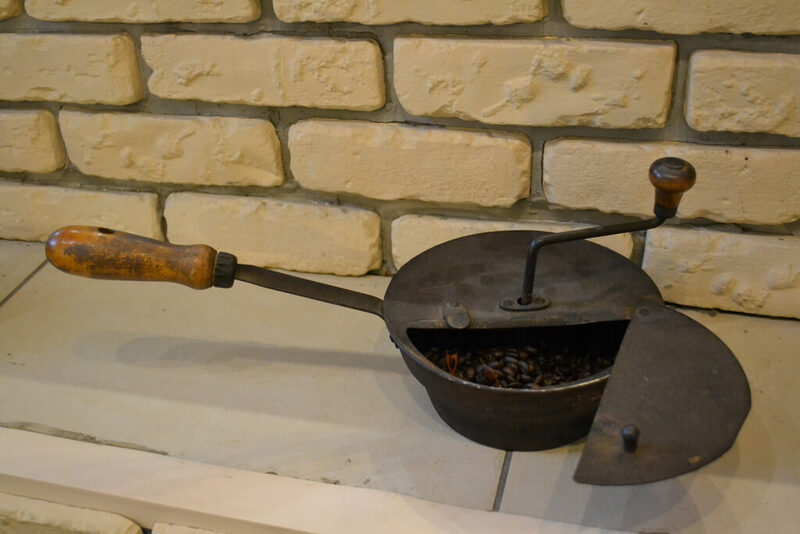 Later, people began to roast and brew coffee, and gradually the drink conquered the world. Nowadays, it is produced in more than 50 countries, and for many of them it is the basis of the economy. No joke, in the small Costa Rica with its 400 million coffee trees, the beginning of school holidays depends on when the harvest season starts. 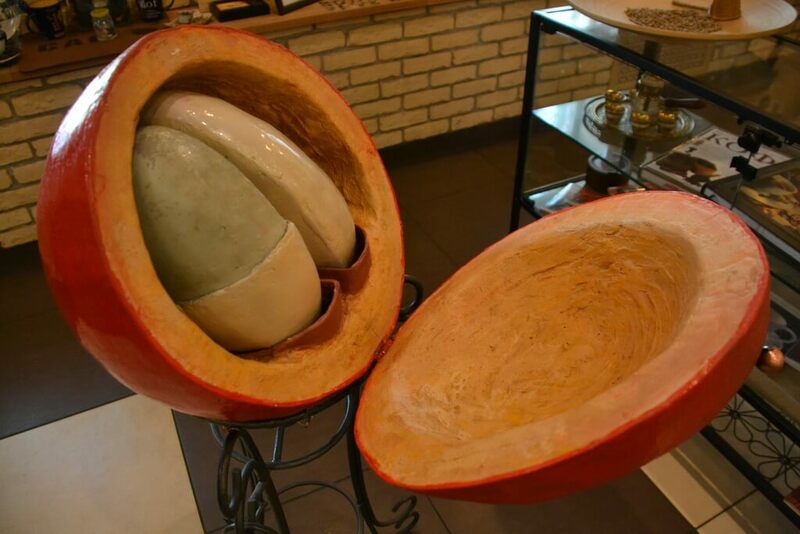 There are several ways of producing and processing coffee beans, most of them are quite simple, however, one is rather exotic. 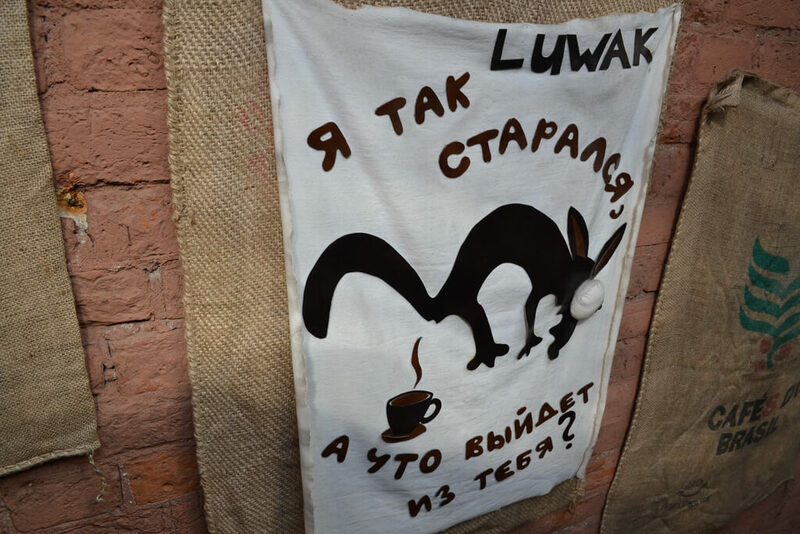 Thanks to it, people can enjoy the most expensive coffee in the world, known as Kopi Luwak. This is how it is produced. The Asian palm civet, also called ‘toddy cat’, eats coffee berries, which are subjected to ingestion and fermentation inside his body, while coffee beans leave it undamaged. Gathered by people, cleared from feces and processed, they cost 5,000 rubles per 100 grams, and this is due to the amazing features of the animal’s digestive system. Here arises a question, which we – in astonishment – didn’t ask the guide: who was the man who got the idea to try… well, you understand, to try what. 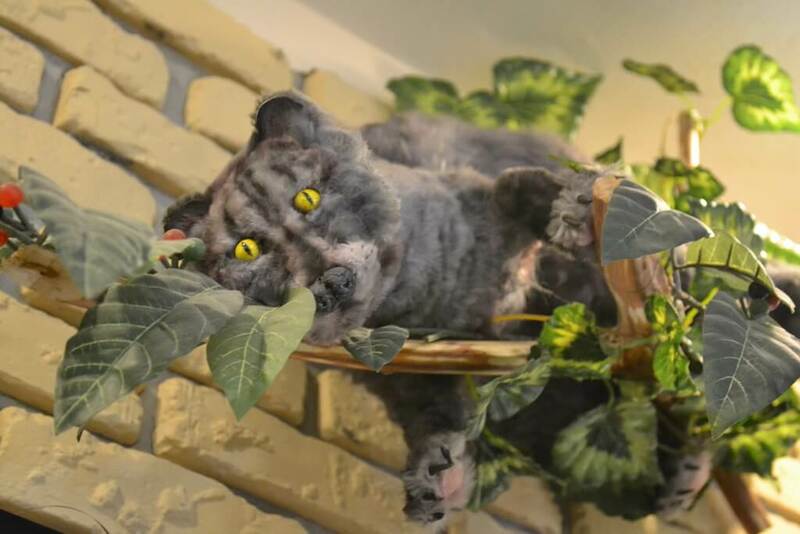 The toddy cat is immortalized in a playful picture on a wall of the museum. 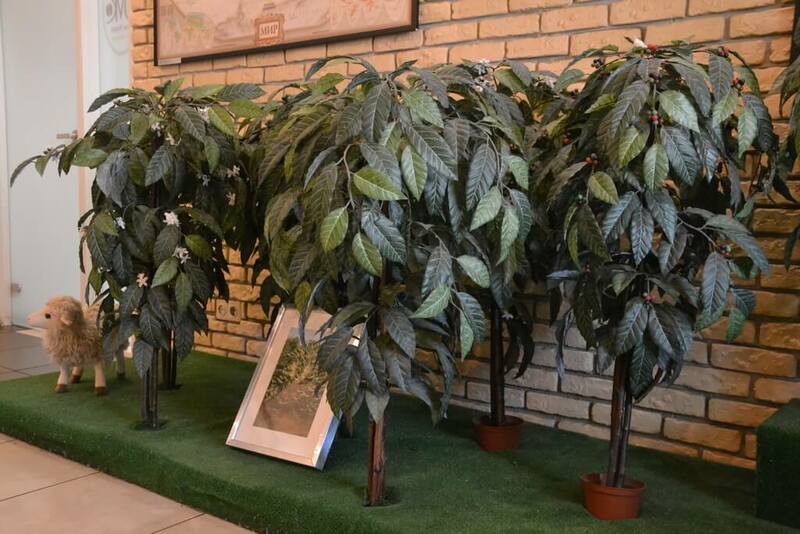 The second most expensive coffee (approximately 2,000 rubles per 100 grams) comes from the island of Jamaica and its name is Jamaica Blue Mountain. The coffee tree grows really at the mountain, and the higher from the earth, the sweeter and softer the taste is, because the higher it is, the fewer trees and plants which convey a particular flavor to the soil are located there. Looking ahead: during the smell test, you will smell the coffee, which grows on the slope of a volcano. Information from the guide, by the way, can help you decide what brands and roast degree to taste to find the one aroma (or not only one) that you’ll like most of all. There are three sorts of coffee: Liberica, which is produced in few places and is of very poor quality; Robusta – bitter taste, is used mostly for instant coffee; Arabica, the one that owns Kopi Luwak and Jamaica Blue Mountain brands. 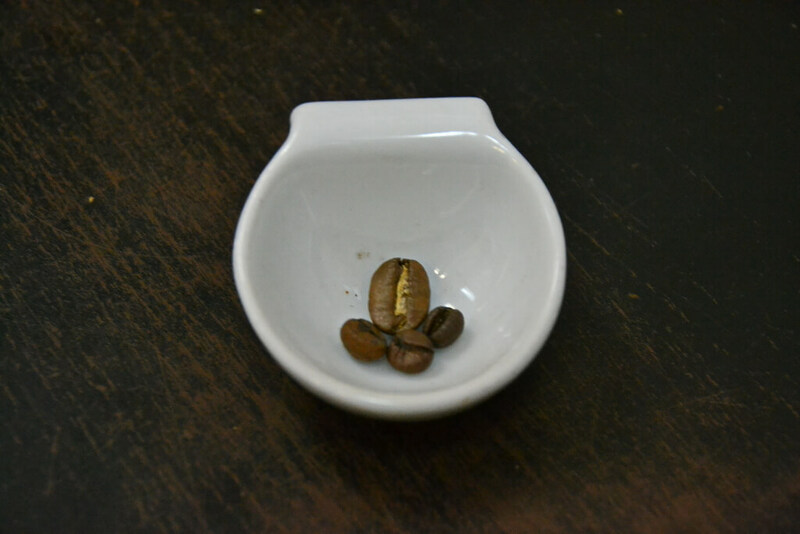 By the way, ask the guide, how to distinguish Arabica from Robusta beans, it is simple and useful. Arabica and Robusta. See the difference! — Scandinavian. The weakest roast degree, also called “female”. Most popular in Scandinavia. The taste is slightly sour. — Viennese, average roast degree, with a rich and slightly sweet flavor. — Italian, the most powerful in all respects: according to the depth of processing and the degree of disclosure of the characteristics of coffee. The taste is bitter. It is used for making an espresso – the basic coffee beverage. The tour is full of interesting details, for example, how many coffee beans Ludwig van Beethoven used to make one cup of coffee. As well as HOW Honore de Balzac drank the beverage. There are many other historical details, and we will tell about only one. In the Middle Ages in Turkey (Byzantium), the invigorating drink was offered to people for them not to fell asleep during prayer. The Turks liked coffee so much that they began to spend the time allocated for prayer in conversations in coffee shops. Then priests dubbed coffee “Devil’s black blood” and, referring to the Koran, ensured that the death penalty was implemented for drinking and distributing the ‘potion’. Later, the ban was lifted. At the end of the tour, you’ll participate in a smell test – over a dozen of different brands of Arabica, including the most expensive ones. It is useful even for those who think they are experts. Firstly, it’s fascinating how brands differ. Moreover, there is a significant difference even between sorts produced in neighboring countries. Secondly, the number of aroma of fruits of one and the same plant growing in different parts of the world and in different conditions is amazing. Thirdly, during the smell test you can come across a new aroma, the one you’ve been looking for the whole your life. There are also ordinary taste tests in the museum, where visitors can not only smell, but also drink coffee, learn how to brew it etc. They are paid separately and are held on a special schedule. 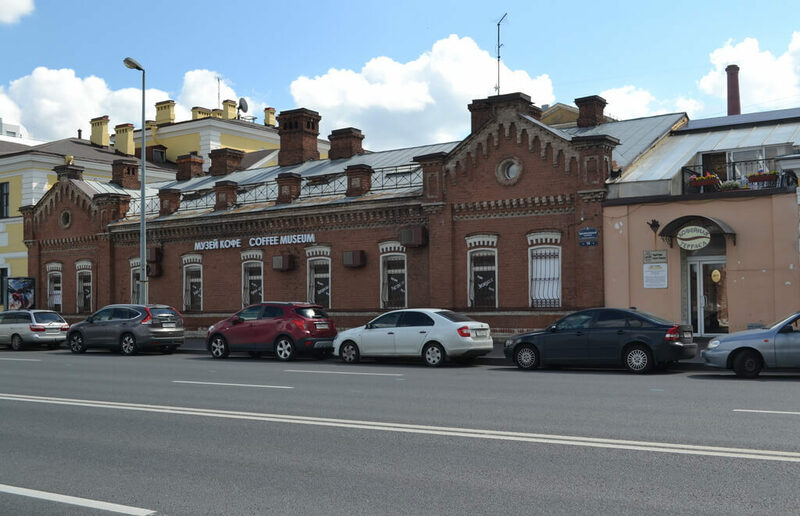 It would be very strange if the Coffee Museum had no coffee shop. Naturally, it has, and a fascinating one! 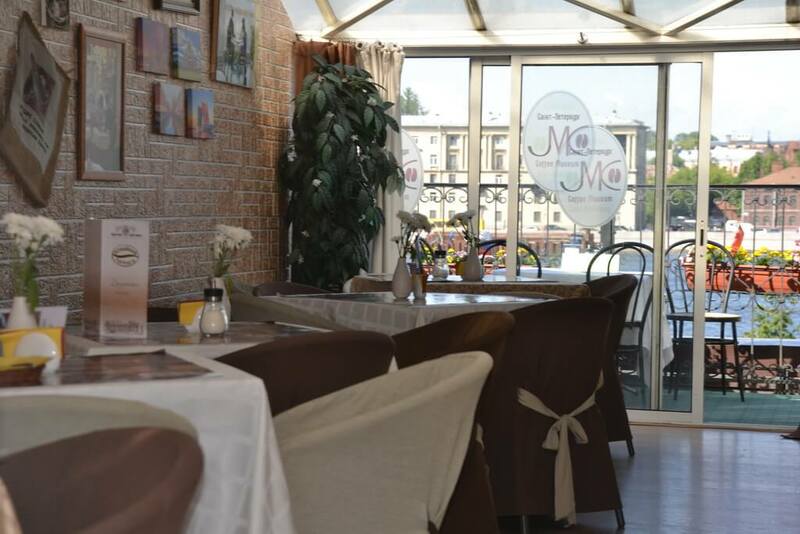 The coffee terrace is located on the second floor, from which you can enjoy the view of either St Petersburg’s internal picturesque patio or on the embankment of the Neva river. It is a cozy place to have a meal in. 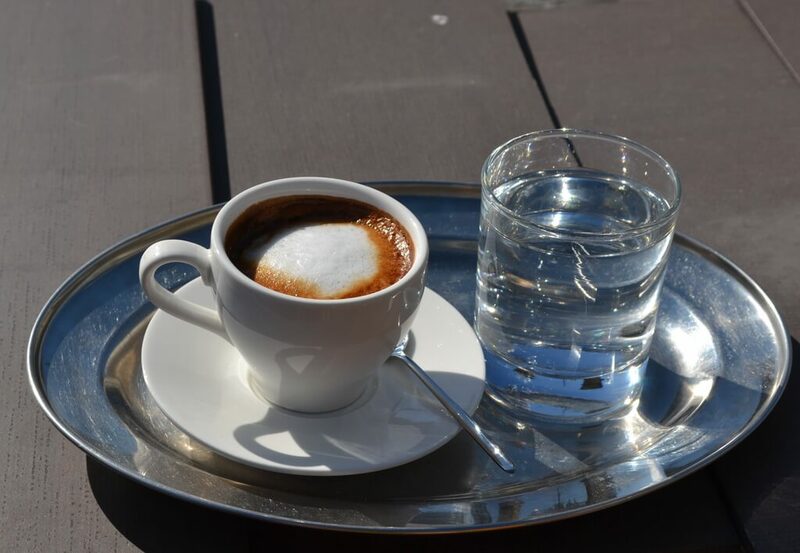 Prices are slightly above the average, for example, a cup of cappuccino costs 220 rubles per 200 ml, double espresso – 150 rubles per 60 ml. 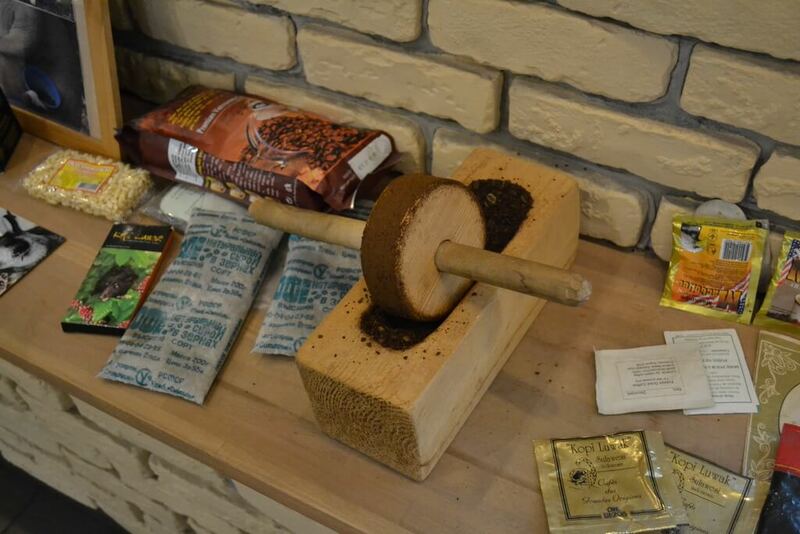 However, holders of tickets to the coffee museum tour get a 25% discount. Most importantly, they serve coffee, which you can find nowhere else. 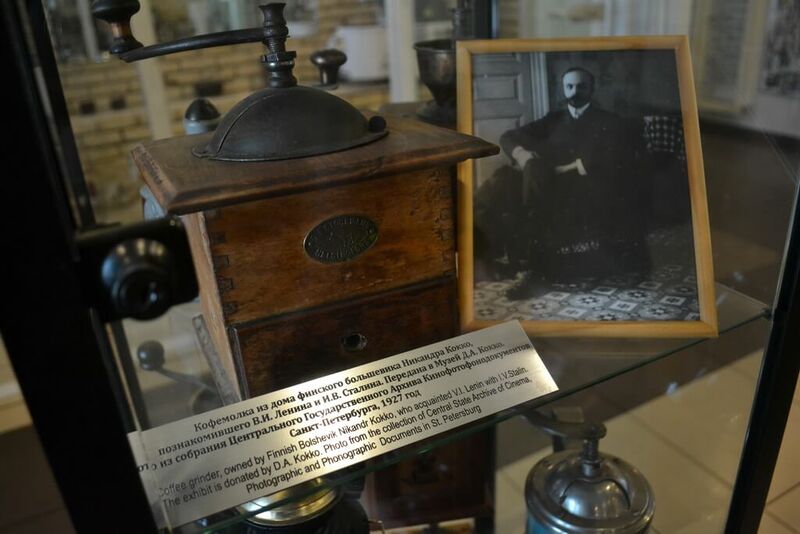 As we have already mentioned, by order of the city administration, the Museum developed an official recipe for St. Petersburg coffee. We tried it for 200 rubles and photographed. It’s a nice coffee without special shades, but bright and harmonious. We liked it. And, of course, on the terrace you can taste all the brands that you smelled during the tour. Or buy beans to enjoy the coffee at home.